WARNING: Revolve will BLOW YOUR MIND. See some of the world’s best rope jumpers do things you never thought possible. 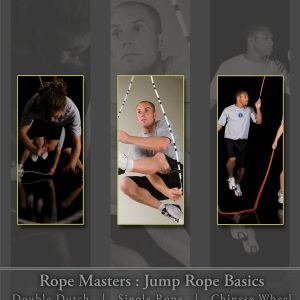 This DVD takes you all over the world as Peter Nestler, Seven-Time World Champion jump rope professional, films some of the best in the sport showcasing the unique skills that they’ve developed. You’ll witness double dutch, chinese wheel, partner work and unicycling like never before. This is jump rope to the extreme! In Revolve, World Champion Peter Nestler teams up with a handful of top jumpers to showcase the emerging sport of rope skipping. Experience some of the latest innovations in single rope, double dutch and chinese wheel along with unicycling and other crazy stunts that will shatter perceptions of what is possible with a rope. I do not jump rope…but I am fascinated by it. 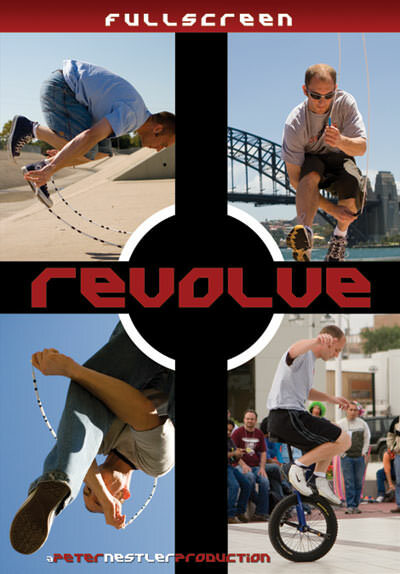 I recently purchased the REVOLVE DVD and I love it. There is so much on this one DVD. We use it to play for kids and teens on TVs all over our campus. When we play this DVD, people just stop in the hallways and classrooms to watch it. IT IS AMAZING! There is a preview of Revolve. I highly recommend you pick up your copy today.